Everyone feels alone occasionally. But if these feelings become consistent or oppressive, it may be time to look for a solution. As a deaf or hard of hearing teen, it’s not uncommon to feel isolated from the people around you. This is perfectly natural and understandable, but what can we do about it? Why Do Deaf Teens Feel More Isolated? Though the world is slowly becoming more accommodating, it’s built for and around people who do not have disabilities. There are many things that can be difficult for someone who does not have perfect hearing, from holding a conversation with a hearing person to following along in class. When you are around hearing individuals, it can feel as though no one understands the issues that you’re going through or the challenges that you face. This can feel extremely alienating. Being a teenager is already hard enough without any additional challenges. Social isolation is something that thrives in a vacuum; the less you talk about it, the more powerful it will feel. How To Deal With Feeling Socially Isolated? It’s important to remember that every teen feels socially isolated at some point or another. That doesn’t mean that your feelings aren’t valid: your feelings are always valid. It does, however, mean that you can get through this. Being a teenager is one of the most difficult times for anyone, there are a lot of things that you need to do while you’re still learning who you are. You may have more resources than you think. Parents, a trusted adult, teachers, and counselors can all advise you on the best course of action. This is often the last thing a deaf teen wants to do. However, socialising with other deaf teens makes sense. They are more likely to understand the intricacies of why you feel isolated and alone. They’ll understand all the little (or big) issues you encounter throughout your day that can make your day harder, and will be able to share their own coping techniques. Doing something that you love, such as a hobby or sporting activity, is a good way to distract yourself while you try to work on other issues – but remember, you still need to address them. Reaching out for help is almost always the right first step. Social isolation is something that thrives in a vacuum; the less you talk about it, the more powerful it will feel. As you begin to talk about it more, you’ll feel a weight being lifted. To kickstart your social life and begin working on it now, consider joining an online community or a program made for deaf teens. Through workshops you can learn more about coping skills while also meeting people who understand how hard it can be. We have two solutions you can jump on, right now. We have set up our own private Minecraft world, and every Sunday we meet up to build epic creations. 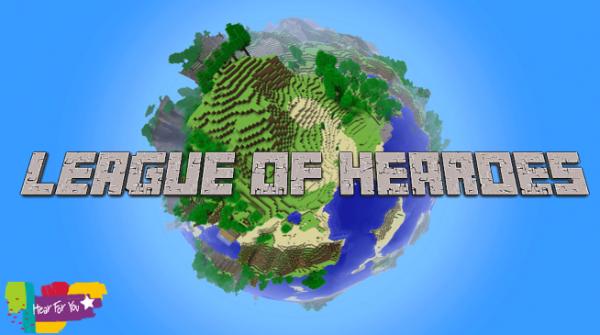 Find out more about our online gaming community here, League of Hearoes. Our mentors have loads of life experience to share, which may just help clarify things in your own life. We run these program Australia-wide and they can be part of your NDIS planning. Learn more about our Life Goals and Skills programs or other workshops that might be of interest to you. Social isolation can affect your mental health and relationships. Read more about the importance of good mental health and how to achieve it.